Alan McGee’s legendary Creation record label brought us Oasis, Primal Scream, Jesus and Mary Chain, My Bloody Valentine, House of Love, Teenage Fanclub and many of the other most exciting and innovative bands of the eighties and nineties. But it also eventually brought McGee to a breakdown so complete that it took him two years to recover. Alan McGee started Creation in 1983 with a loan of £1,000. McGee considered himself a loser when it came to school, girls and good looks, but he had two things on his side: punk attitude and an uncanny ability to detect musical genius. Within two years, McGee had launched The Jesus and Mary Chain, sold hundreds of thousands of records and created an indie empire that was a byword for headstrong independence. By 1992, McGee was a millionaire, living an unrestrained hedonistic lifestyle. In 1993 he discovered Oasis, and within a year of partying with the band he entered rehab following a near-death experience in Los Angeles. 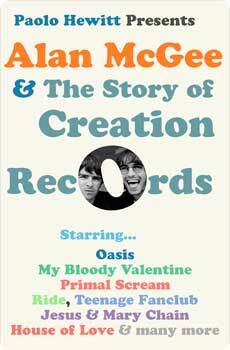 Paolo Hewitt, the bestselling biographer of Oasis, received full co-operation from Alan McGee and all the key Creation personnel for this candid, often funny, sometimes shocking oral history. It captures in vivid colour one of the richest chapters in British rock history. Creation and its roster are going to live forever.